Click image to view a slideshow of photographs and Lam’s paintings. In an office brimming with art books in Devlin Hall last May, Professor Elizabeth Goizueta peered down into a scale diorama of the McMullen Museum of Art that rested on a table. As the lecturer of Romance languages and literatures navigated her hand through the miniature museum, she commented on each postage-stamp-sized painting and sketch, tiny reproductions affixed to the walls of the white foamcore model. 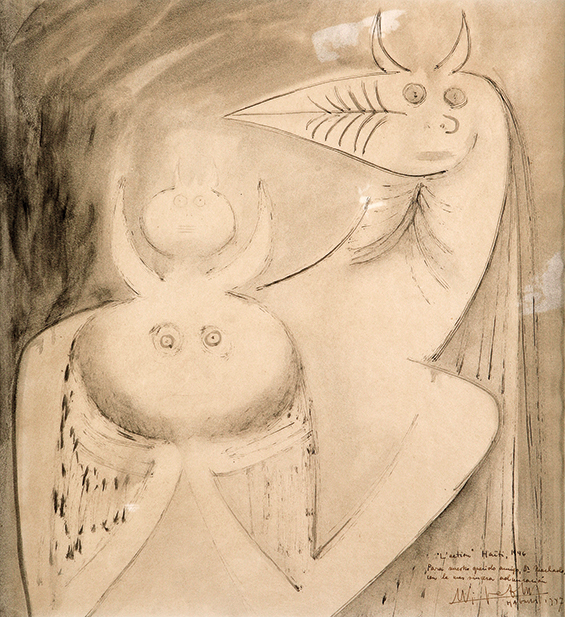 And she told the story of their source, Wifredo Lam (1902–82), the subject of the museum’s next exhibition, Imagining New Worlds, which Goizueta curated and which opens this fall. Lam was an artist of the world. 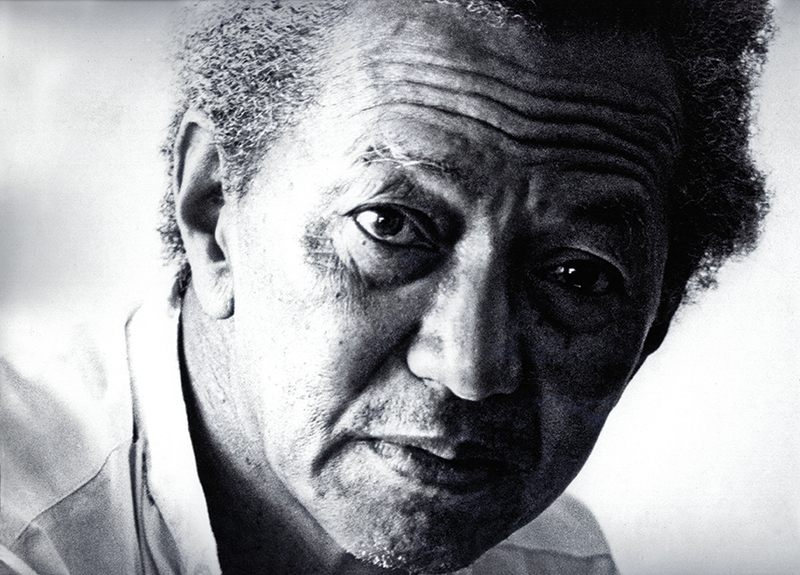 He was born in Cuba to parents of Chinese, Spanish, and African descent, and he studied his craft in Spain, France, Italy, Cuba, and Haiti. His 1943 masterpiece-on-paper The Jungle (roughly eight by seven and a half feet) has occasionally hung in the entryway of the Museum of Modern Art in New York and, now quite fragile, remains in the museum’s permanent collection, together with 24 other Lam works. The Metropolitan Museum of Art owns five Lams, the Guggenheim four. But despite (some might say because of) Lam’s international range, the artist’s talent has often been overlooked. 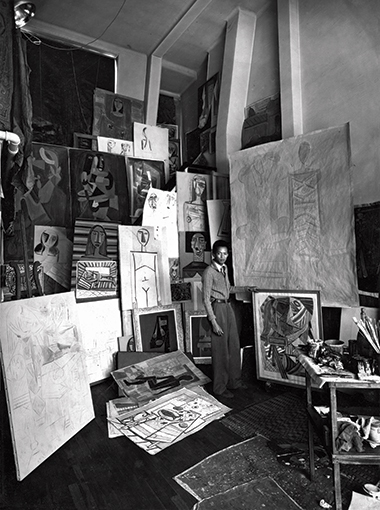 Wifredo Lam was born in northern Cuba, a region of sugar cane plantations, on December 8, 1902, to a Chinese merchant who fathered him in his 80s and a mother of African and Spanish stock. On an island where borders between religions were known to blur, he learned the rituals and spirit system of Santería, a blend of Catholic and African beliefs, from his godmother. It was her hope that he would follow in her footsteps as a healer. The family had other plans, however, and moved to Havana in 1916. There, Lam was made to study law. 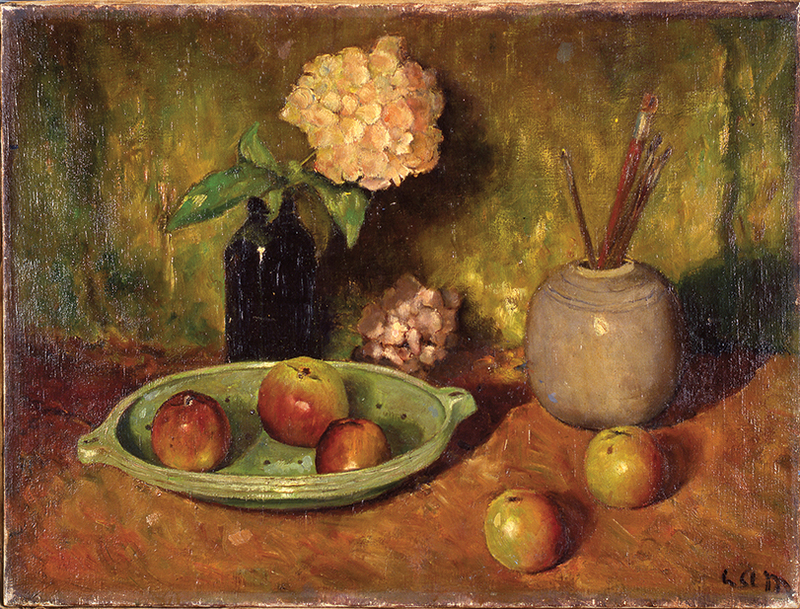 Within two years, he was attending classes at art school, and by the early 1920s, himself barely 20, his work was being exhibited at the salon of the Association of Painters and Sculptors. In 1923, Lam traveled to Madrid to train under the conservative, academic painter Fernando Álvarez de Sotomayor, director of the Museo del Prado. He quickly grew adept enough at the classical style to secure portrait commissions. But, like fellow pupil Salvador Dalí, Lam became a surrealist. Centered in France, the surrealists (writers and painters alike) took their cues from Freudian themes—the subconscious, myths, dreams—as they sought to liberate the imagination. The Spanish surrealists had a unique character, says Goizueta, infused with baroque, religious undertones. Dalí, in 1955, put the distinction this way: “France is the most intelligent country in the world, the most rational country in the world. Whereas I, Salvador Dalí, come from Spain, which is the most irrational and the most mystical country in the world.” Lam would be influenced by both strains. Lam’s son Eskil, who provided artwork, family photographs, and other items for the McMullen exhibition, told Goizueta that Picasso “empower[ed]” his father. 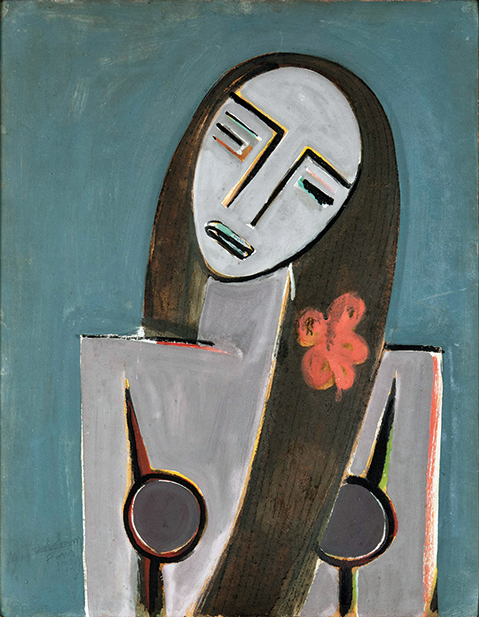 Unravelling the assertion in her essay for the show’s catalogue, Goizueta put it this way, “Picasso’s tacit approval allowed Wifredo Lam the freedom to develop his own style.” The two artists would exhibit works together. During a brief stay in Martinique, Lam found a new influence, and a friend for life. Like Lam, the Martinique poet and playwright Aimé Césaire (1913–2008) spent key years in Paris—studying classic French poetry and steeping himself in the modern literary movements, including surrealism. While in France, Césaire also read the writers of the Harlem Renaissance and befriended the poet and future Senegalese leader Léopold Senghor. With Senghor, he is considered a founder of the anticolonial Négritude movement that stressed black pride and the beauty of African cultures. It was Césaire who coined the term. Like Césaire, Lam would come to make art that he called “an act of decolonization.” For him, says Goizueta, the catalyst would be his return to Cuba in July 1941, after an absence of 18 years. “If you want to know my first impression when I returned to Havana,” Lam told a biographer, “it was one of terrible sadness. The whole colonial drama of my youth seemed to be reborn in me.” The racism, the degrading spectacle of blacks displaying diminished versions of their culture for tourists, says Goizueta, gave him a new purpose. Lam left Cuba to live in Europe in 1952, just ahead of the Cuban Revolution. He was not a critic of the Castro regime and he returned from time to time for visits. He lived the remainder of his years in France and Italy, painting, sculpting, and etching. Imagining New Worlds is an exhibition of 68 pieces by Lam, including 47 paintings from three periods of his life—the Spanish period, the French period, and the Cuban period. It’s a project seven years in the making. 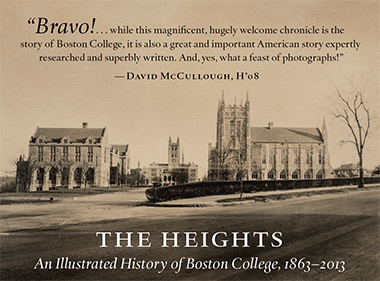 The show’s story begins with the arrival of Elizabeth Goizueta and her husband, the Flatley Professor of Catholic Theology Roberto Goizueta at Boston College more than 15 years ago. Elizabeth is a scholar of 20th-century Latin-American and Spanish literature; Roberto is a Cuban-born theologian who specializes in Latino belief systems (his essay on the role of religion in Lam’s art appears in the McMullen catalogue). The couple had become involved in thriving Latin-American art scenes while living in Miami and Chicago, and wanted to bring their interest to Boston. “They felt that Latin-American art, in particular, was not well-represented in American museums, and there was a lot of scholarly work that could and should be done,” says Nancy Netzer, the McMullen Museum’s director. 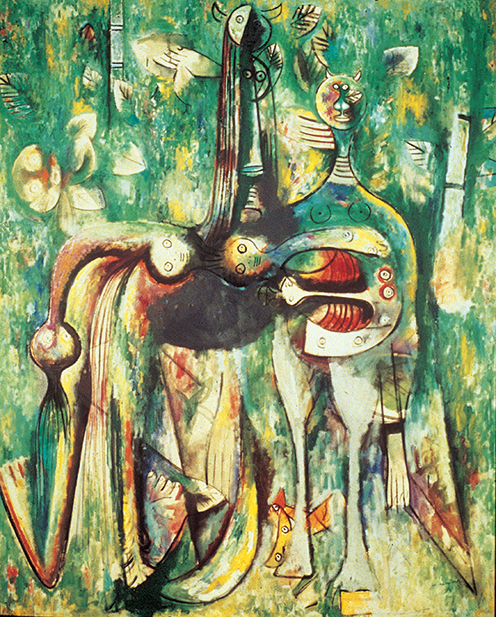 The Goizuetas and Netzer collaborated on a show of works by the Chilean surrealist painter Roberto Matta (1911–2002), bringing in Cernuschi, who specializes in 20th-century art, as a fourth co-curator. After successfully staging the Matta exhibition in 2004 (the Boston Globe called it “a dive into the complicated, vibrant depths of [a] 20th-century genius”), the group continued to discuss potential projects that focused on Latin-American artists. Elizabeth Goizueta and Cernuschi also were collaborating on an undergraduate seminar course examining surrealism—combining readings of Freud and the Mexican poet Octavio Paz with study of Matta and Lam. The curators agreed, Lam should be their next focus. Cernuschi, however, is the first to say the answer is more complex than that. Lam has long received attention in Europe, he says, especially in France. And as scholarly interest in the effects of colonialism has grown, so too has consideration of non-Western artists. But Lam is a “hybrid,” Cernuschi continues. “He doesn’t really fit in the domain of Western art history or Cuban art history or African art history,” even as he has a place in all three. 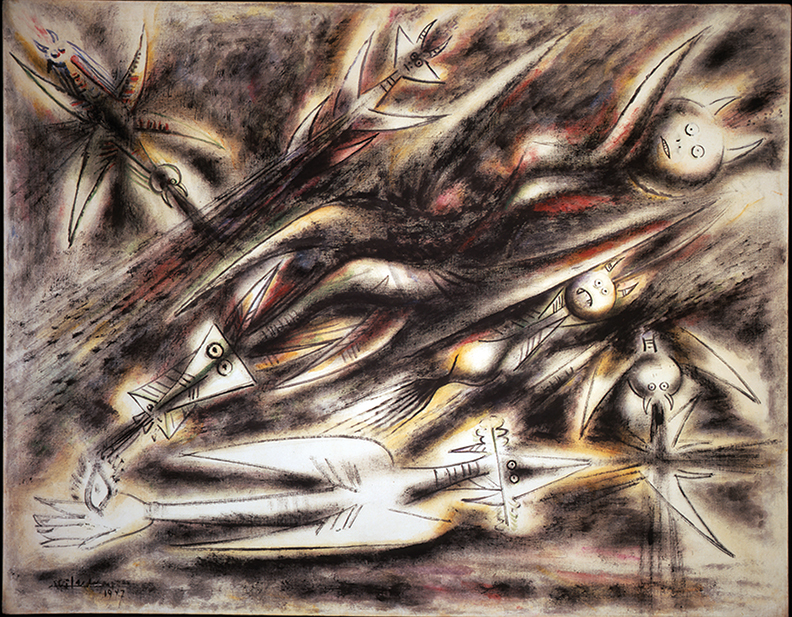 Wifredo Lam: Imagining New Worlds is on view at the McMullen Museum August 30 through December 14, 2014. The show will open at the High Museum of Art in Atlanta in February 2015.